Not every house has wall-to-wall carpets. Hardwood and tile flooring is a great alternative to carpet, with long-lasting hard surfaces staying great for a long time. But even area rugs and carpets become dirty and stained. From entranceways collecting dirt and mud to dining area rugs capturing food and beverage stains, every carpet and rug needs cleaning at some point. When you need quality area rug cleaning, you need Carpet Cleaning North Bay. We provide you with the same level of quality in rug cleaning that we would with full room carpets. 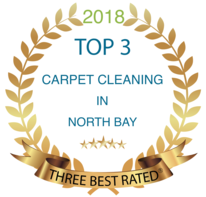 No matter how big or small your carpet and rug cleaning needs are, we provide only the best in area rug cleaning in North Bay. Most carpet cleaning companies don’t bother with area rugs and carpets. They would rather only help customers with full-room carpet cleaning needs. We are dedicated to being your complete carpet care company. No matter what size your stained surface is, we are here to clean it faster and better than anyone else. 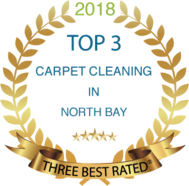 We are more than just another carpet cleaning company. We’re your area rug cleaning experts. From small area rugs to wipe your feet to partial carpets, we can clean any surface you have. No matter what material of carpet you have, we can carefully extract resilient stains and odor. Whether your area rugs and carpets were purchased from a discount store or you paid top-dollar, they receive the same level of quality and care from us. We are your Persian and wool carpet specialists. You don’t have to worry about damaging your Persian and wool carpets. We understand how important they are, and we carefully extract stains from all carpeted surfaces with safe cleaners and deep-reaching steam. ​Our cleaning agents won’t discolor or stain and our steam cleaners are safe for any surface. We can safely extract any stain and odour without leaving marks or discoloration. Clean your Persian and wool surfaces with confidence using our trained professionals. Store bought cleaners and cheap rental equipment can’t guarantee the same safe, quality clean that we can. When you compromise quality, you’re risking leaving your area rugs and carpets stained, discolored, or even bleached. Most of the time they can’t get rid of tough stains and odor and only leave your rugs and carpets looking, and smelling, worse than ever. Don’t make a bad situation worse. Use the reliable, affordable choice in local area rug cleaning. Call us today. Because rooms with area rugs and carpets are usually hard surfaces, Carpet Cleaning North bay also cleans flooring as well. You can have your entire room’s flooring serviced when you have us taking care of your area rugs. You don’t have to call a second cleaning service just to have your flooring and hard surfaces cleaned. For your all-in-one floor cleaning needs, call today!